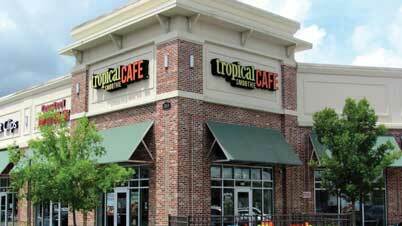 Download the Tropical Rewards® App. It is time to celebrate our fans and their flavorful favorites! 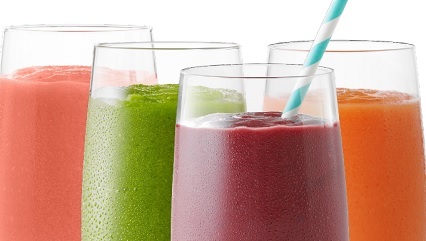 Sip on a sipsational smoothie like the Island Green® or the Bahama Mama. 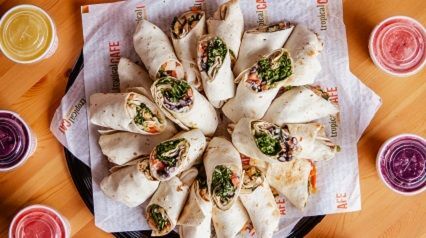 Or try the Buffalo Chicken Wrap or Chicken Pesto flatbread - the perfect complement to any smoothie. Come find a new favorite today! Let us cater your graduation celebration! Choose from smoothie bundles, wrap or sandwich trays and boxed lunches. Go boldly into the world with bold flavors. We make it our mission to serve amazing smoothies and food with a bit of tropical fun! Own a franchise that you and your family can be proud of. Let's get started!